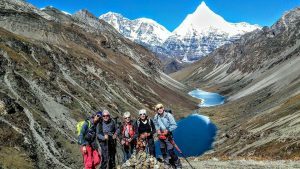 Discover the himalayan kingdom, become an explorer to get started! 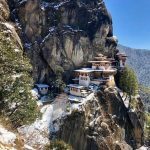 The jagged and unforgiving terrain of this country, often referred to as a country frozen in time, has never been a roller coaster journey for most travelers and enthusiasts alike and, more often than not, leave without having even known the actual Bhutan that many have actually wanted to see. 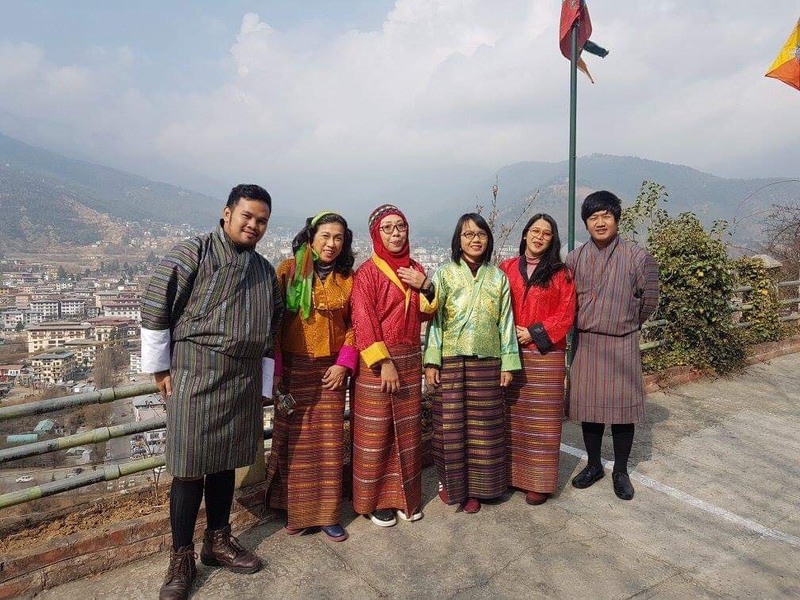 With our vision and the motivation ‘to serve the best’ we hope to be your guide in making your stay here as pleasant as the Bhutan that you always dreamt of. Your quest for knowing the unknown actually ends here. Other than Indian, Bangladeshis nationals, all visitors to Bhutan require a visa. All visas are issued from Thimphu. Visas are only issued to tourists booked with a local licensed tour operator, directly or through a foreign travel agent. Applications for tourist visas are submitted by the tour operator. Visa clearance from Thimphu must be obtained before coming to Bhutan. Visa clearance takes at least 10 days to process. Air tickets to Bhutan cannot be purchased without visa clearance. At your point of entry the visa will be stamped in your passport. Visa applications must reach Bhutan one and half months before your intended arrival. We will advise and take care of the formality if you travel with us. Planning a trip to Bhutan can be time consuming. That's why we have carefully designed tour packages that offer you a hassle-free way to experience Bhutan. I’m still processing my trip from Bhutan. I have been wanting to visiting this foreign land for years now and was finally able to do it on my own terms with Gawaling. Completely private and catered, I was so well taken care of every step of the way — from planning my trip from the States on email with Tshewang to going to a hole in the wall, local restaurant my last night there. I’m not sure if I can fully encapsulate into words what Bhutan is — it is one of the most beautiful country I have ever visited, filled with kindness, stillness and and undercurrent of joy. If you are thinking about going, stop thinking, and just go. It will change your life and the way you see the world. I know it did for me. I can’t speak highly enough of Nima, my tour guide, and my driver, Jigme, both of whom were respectful, professional and so incredibly kind. Plus Nima had quite the sense of humor and it made my trip filled with even more laughter than expected! We had quite some snowy weather but I always felt like I was in good hands. Nima in particular went above and beyond when we hiked up to Tiger’s Nest in the snow. He constantly was pulling and pushing me up the mountain to make sure we could make it. What a gift this entire experience was. I will never forget Bhutan and hope that I will have the opportunity to visit it again in this lifetime. To the team at Gawaling, thank you from the bottom of my heart for making my Bhutanese dreams come true and showing me why your country is called the Land of Happiness. I certainly walked away infinitely happier than when I arrived. I have just returned from an fabulous holiday in Bhutan last week. We were there for 7days 6 nights. The whole trip was incredible, magical and heavenly. We really cant thank Mr Tshewang, Managing Director of Gawaling Tours and Treks enough for organizing the whole trip to perfection. He even went extra miles to give surprise birthday celebrations for three of my co-travellers on two occasions. He took his precious time off from office to follow us throughout the trip to make sure everything was ok and in order. Mr Tshewang, in his capacity as the tour guide, was very thoughtful, professional, patient, kind and caring. He was very well versed with interesting history and culture of Bhutan and he took care of us throughout the trip extremely well. Mr Sonam, the driver, on the other hand was a very skillful and safe driver which we really needed, considering driving on those tricky mountainous road. Mr Sonam was not only hardworking, helpful but also very courteous. Always serve with a smile! 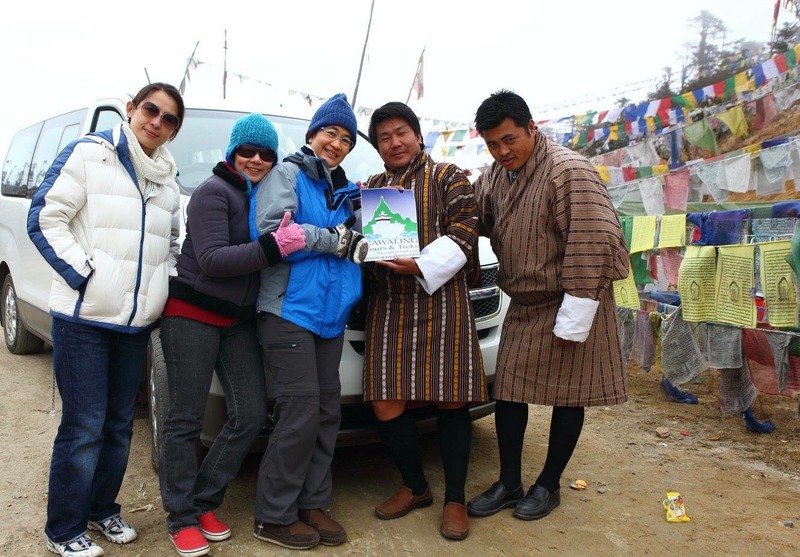 Big thumbs up for both driver and guide..
Bhutan, the Land of Happiness also known as the Land of Thunder Dragon has been on our travelling lists for a long long time. We were so glad we made the trip. 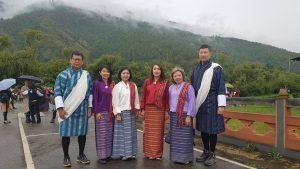 During our stay, we were immersed in Bhutan’s amazing landscapes, eyes popping awesome scenery, rich culture and interesting history, very kind and friendly Bhutanese people. Bhutanese cuisine was great, very appetising, particularly love Ema Datshi (chillies and cheese ~ missing it badly now) . We were extremely pleased and satisfied with the hotels arranged by our tour operator, Gawaling Tours and Treks. All hotels we stayed were excellent ~ Especially enjoyed the view from the veranda of our hotel in Punakha, real breathtaking! We would re-visit Bhutan and no doubt, we will definitely ask Gawaling Travel & Treks to organise tour for us again. 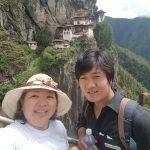 Obviously, I would give highest recommendation for Mr Tshewang Rinzin of Gawaling Tours and Treks, whom you can count on him, to help you to arrange a very well balanced itinerary as per your needs. You cant go wrong with Gawaling Tours & Treks, a very responsible tour operator. Strongly recommen to book your holidays in Bhutan, a must visit country, with them. Thanks for a wonderful holiday, Gawaling Tours! 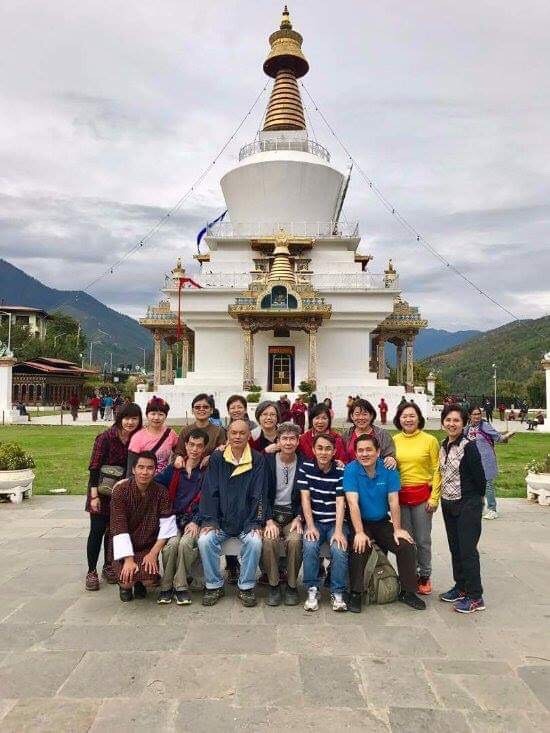 We recently enjoyed an amazing holiday in Bhutan, thanks to Gawaling Tours. They were very professional, courteous and warm, and best of all, very prompt in their communication. When the opportunity to take a break from work presented itself, we had less than a week to plan everything. 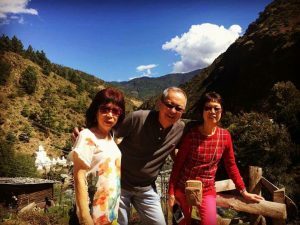 Luckily we came across Gawaling Tours online and found good reviews of them here on Trip Advisor, and after Mr.Tshewang’s prompt and professional reply to our initial queries, we were confident that we had found the right people. They did not let us down. From airport pick-up to sight-seeing, hotel accommodations, farm-stay, treks, to answering our never-ending questions about local life and culture, our guide Mr.Nala did an excellent job. Thanks guys, for everything, and we really hope to return to Bhutan again, soon. – Girish and family, Dubai. We had a great time in Bhutan for 6 days. The places we visited were fascinating. The people in Bhutan were friendly and warm Our trip was arranged by Gawaling Tours. We were very fortunate to have Mr. Nala as our tour leader. He is the best tour leader I have ever met. Not to forget, Mr. Buddha, who drove us to amazing places, like Paro, Thimphu and Punakha. They were very helpful and did the services with their heart. We appreciate it very much and thank you for everything. Without Gawaling Tours and Treks, my 7D6N holidays in Bhutan won’t be so wonderful, so sweet and so perfect! Very good stay, good food and well arrangement. The tour guide, Nidup Gyeltshen, young and energetic, friendly and helpful. Without him, I won’t have taken so many beautiful and memorable photos. Jigme Dorji, the young, humble, helpful and quiet driver, always help us to carry our things and waited for us without any fuss. Not forgeting their boss, Mr Tshewang gave us a dinner treat on our first day arrival. Thanks all of you, thank you so much for the memory I have in Bhutan. I, my wife and 3 friends, did the Chamolari 2 trekking between 12 and 17 October, with Mr. Jamyang as a guide and his team consisting of a chef, 4 boys and a horseman with 8 horses. The behavior and professionalism of the group has been exemplary in every situation. All of them always available and ready to prevent all our wishes and also preparing a cake cooked to the field to celebrate my birthday. 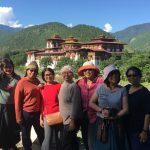 At the end of the trek, we visited the cities of Paro, Punakha and Timphu, with temples, markets and fortesses of greatest interest. Even in this situation, completely different from that of trekking, our guide Jam has always been up to the situation, accompanying us in various places, presenting Bhutanese culture and responding to all our curiosities about Buddhism, how it works their company and more. In conclusion, I can only confirm the goodness of the choice I made by referring to Gawaling for organizing our stay in Bhutan. Thanks to Tshewang, Jamyang and all other companions. 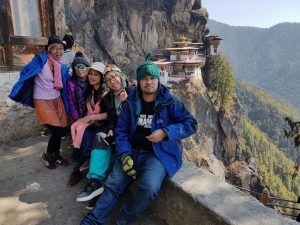 I was traveling with 4 of my friends in Bhutan by using Ghawaling Tour. 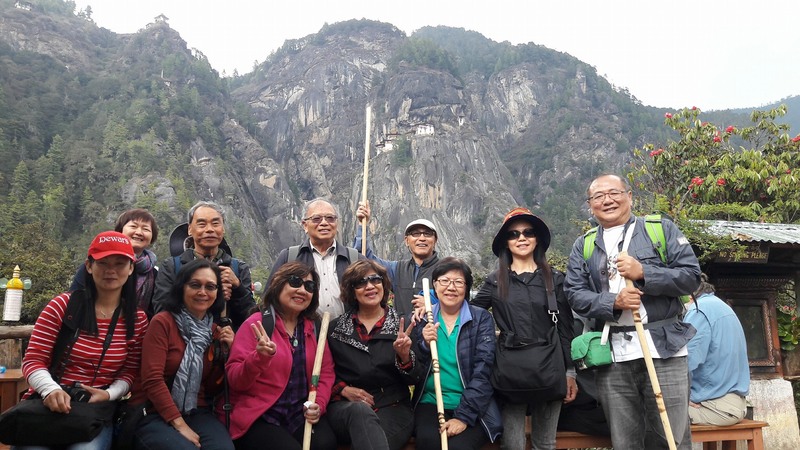 Ghawaling tour is a very professional tour operator who helps us arranging an interesting itinerary, cozy accomodation and of course introducing us to local delicacy in some restaurant. 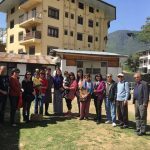 The tour guide knows well how to create such exciting ambiance during the trip and he is very helpful when explaining some adequate information about some tourism sites and also Bhutanese culture. If there is a chance to go back in Bhutan I woill definitely use this tour operator again! 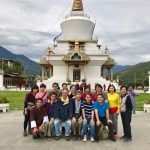 14 of us had recently went to Bhutan for 7D6N holidays. I really enjoyed my time in Bhutan & it was highly recommended by my friend to take Gawaling Tour Agent. Mr. Tshewang was helpful, he has helped to manage our flight ticket, visa and hotel accommodation. We have also Mr Karma our tour guide, he was a very professional, flexible for any of our request and perfectly speaking English. He also take good care of us during our hiking to Tiger’s nest the most famous landmark in Bhutan. it’s really tough for us & we took 4 hours to reach the beautiful monastery. 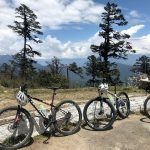 I would highly recommend Gawaling Tours and Treks for a bike tour. We booked a 5 day/4 night tour about two weeks in advance of our trip. Tshewang was incredibly fast to reply to our inquiries and answered all our question regarding booking and payment. The whole process was very professional and they accommodated our requests (and numerous date changes!). Our tour guide, Nala, was excellent and also a good bike rider! The route he planned was a good combination of challenge and fun. On the first day, my friend had a problem with her bicycle and Nala went to the bike shop and had it switched out for a new one. We had a support vehicle driven by Mr. Jigme which was a nice option and peace-of-mind if we got too fatigued while cycling. The accommodations that Gawaling arranged were very nice and had good food (we recommend trying the chili cheese dish). The whole booking process and trip itself was stress-free and my friend and I really enjoyed ourselves on this trip. I don’t really have any complaints, perhaps that there was a lot of downtime in the evenings after sightseeing (we are used to jam-packing our holidays so the time to relax was nice). I would highly recommend Gawaling for a bike tour! Tip: We were previously traveling at high altitudes and are fairly fit and did not have any trouble acclimatizing to the elevation. I think the trip would have been less enjoyable if we’d had altitude problems. For example, our elevation was about 3.100m/10,200ft on the second day. If you are still thinking about which tour operators you are going to book with and if you are lucky enough to found gawaling tours. BOOK IT ! Tshewang has been an more than an amazing host. I was going for a business + leisure trip and he had my visa + airticket sorted right away even though it’s quite last minute. He has an amazing knowledge about Bhutan, he’s my personal dictionary about Bhutan to the details. 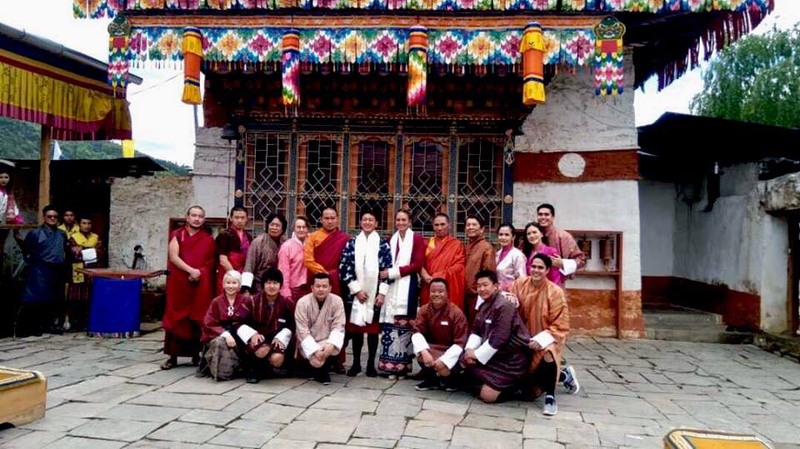 4 fun filled days in Bhutan. All of our needs were fullfiled. MR. Nala and Sanjay were the best tour guide and driver. We felt safe ,while exploring Bhutan. The best day was having a picnic in the mountains. The vehicle was very clean and organized with plenty of water. Both men had a lot of knowledge about the area and history. They were courteous, kind, and very punctual. So much that they felt like family. Thank you for a great experience. 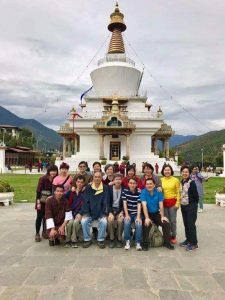 We spent 6 days in Bhutan and had a wonderful time with our guide and driver – Mr Nala and Mr Buddha. During our stay, they had been very patient and supportive in taking care of us. The boss Mr Tshewang was also very hospitable and even treated us a nice lunch. Tiger’s Nest was a challenge. With the help of Nala and Buddha, we managed to complete the mission within 6 hours. In the evening, we were taken to enjoy the hot stone bath in one of the nearby farm houses. Quite an experience. By the way, Gawaling = Land of Happiness in case you didn’t know. The 6 days and 5 nights trip was fun. We brought back lots of good memories. Climbed up to tiger nest was great. I could not belief myself i really did it. I love the rivers, especially the one in Pharo. mr Lana(guide) and mr Budha (driver), thank you for taking care the 7 of us since day one. During my 4 nights and 5 days, I visited Punakha, Thimpu, and Paro with Nala (Tshering) and Jigme (Jimmy). 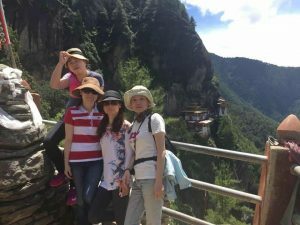 I visited all the main Dzongs and hiked to the Tiger’s Nest; the trip was fun because Jigmi and Nala are extremely responsible driver and tour guide, they will take care of your trip and try their best to accomodate to your requests, they were also really funny to travel with. 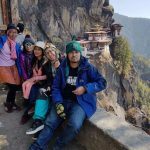 Nala is an experienced tour guide, he will take you to the best landmarks in Bhutan, he’s a great photographer, he knows the shortcuts during our short treks to Dzongs, and he also knows the best photo spots! Whenever we ran into his friends during the trip, they all spoke very highly of Nala and Jigme! Jigme is also a responsible and a safe driver – he drove so well I would sometimes nap away in the car, even though Bhutan is so scenic! Food and hotels: the hotels and home stays were so wonderful. 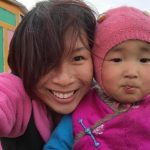 On the last day, I stayed at Paro village view and had helped cook and picked tomatoes in the garden (it was a fun authentic village experience- if you are into that you should ask if you can help!). The restaurants are usually authentic Bhutanese food, which were delicious. I didn’t pay extra for 4 or 5 star accommodations, but I was very happy with my 3 star hotels (the rooms were extra clean, hot water, heated/warm, comfortable beds, and no bugs at all). I strongly recommend Gawaling Tours and please message me if you have any questions! Thank you Gawaling Tours and Treks for your Hospitality and Wonderful explanation on your beautiful country, Bhutan! we will definitely bring back with us lots of unforgettable memories and hope to see you again in the near future. We discovered a fascinating country, with very friendly people, amazing natural beauty and scenery, and a rich and fascinating culture through Gawaling Tours. The trip was well organized and well operated. Everything went smooth, the guide and driver were amazing, the hotels were good and the food was delicious. We would highly recommend Bhutan to anyone who is looking for an outstanding experience. 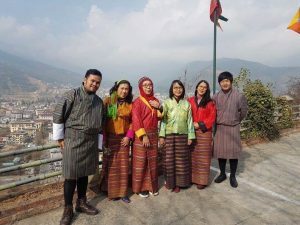 Trip to Bhutan was a memorable experience.We hope some day in near future we will travel to Bhutan again. Hi Gawaling Tours & Treks, we got back last night from our wonderful trip in Bhutan. We had a great trip, really enjoyed the culture, food, and people–our flights and hotels worked out very well, especially the services provided by Gawaling, we found it to be an excellent services, very accommodating. Thank you so much for setting up our trip. We’re going to tell everyone about the Gawaling Tours and if anyone shows interest in visiting, we’ll direct them to you. Whenever we think of roads we have traveled through on our journey through Bhutan, we thank our tour planner Gawaling Tours and Treks. 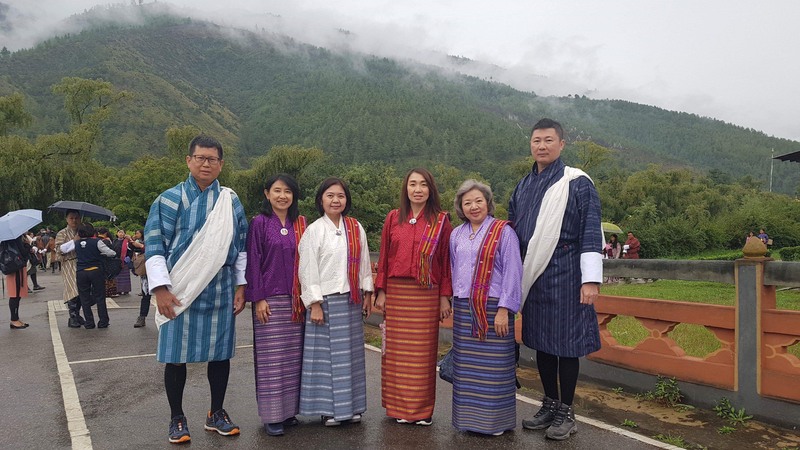 Thank you for ensuring our safety throughout our holiday in Bhutan, Bhutan is a beautiful country with wonderful scenery , but its our interaction with Bhutanese through Gawaling staff which really makes Bhutan come alive for us. Thank you once again. 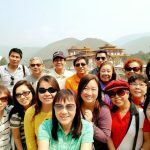 This trip is really wonderful… we had taken plenty of nice photos, and… especially with Karma (professional, helpful, … with plenty “white dots”..) and Passang ( his driving skill is super!!!) providing their best services to us. We really enjoyed this trip, it was fun, most unforgettable and wonderful trip. I’ll recommend my friends to visit Bhutan .. the land of ‘the land of happiness’. Discover the hidden Shangri-La with the touch of gawaling magic!